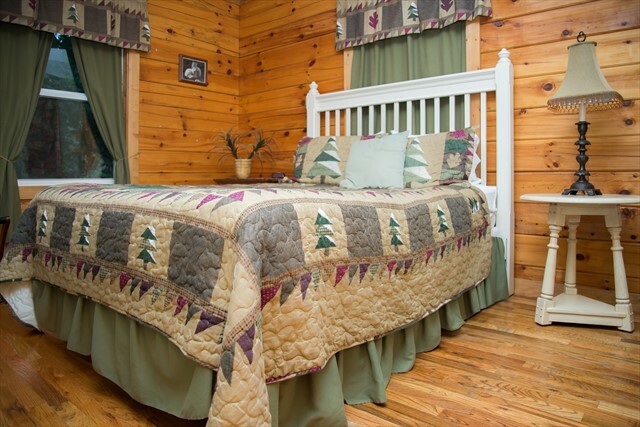 FOX CREEK WATERSIDE - Bryson City Creekside Log Cabin near Great Smoky Mountains R.R. 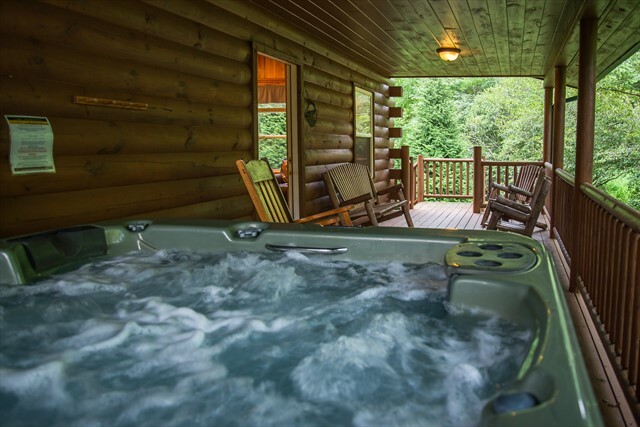 Near Bryson City - You are invited to come and relax at Fox Creek Waterside Cabin, one of our three beautiful creekside cabins, recently built especially as Bryson City log cabin rentals for your pleasure. 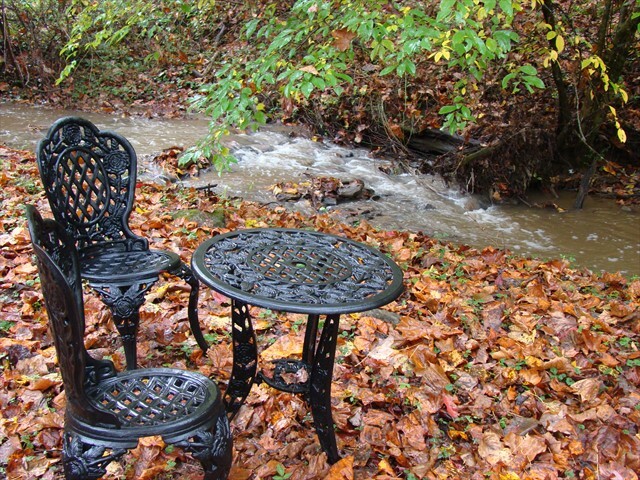 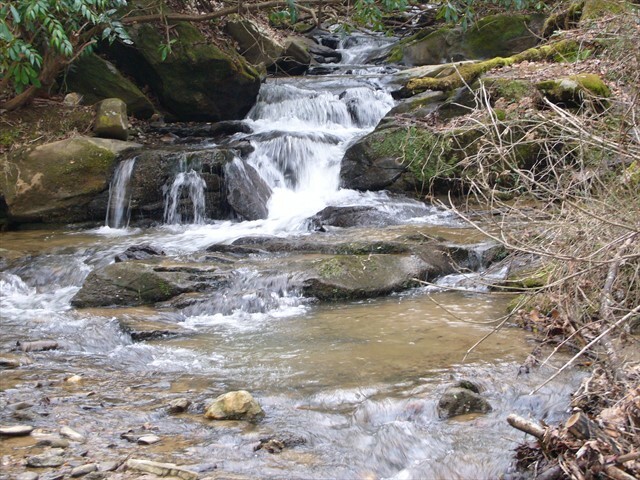 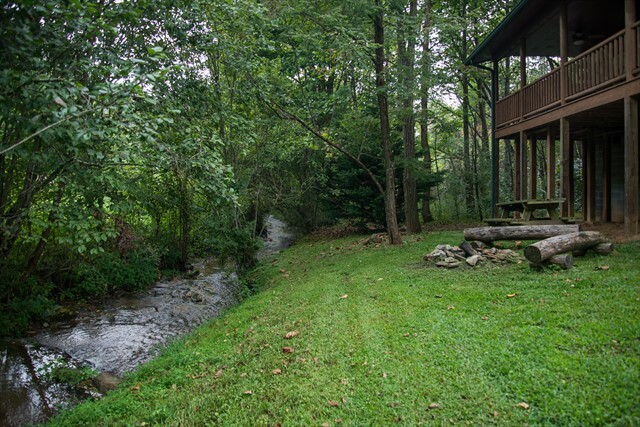 Here you can wade the clear, cold mountain stream, enjoy the natural environment of this area, snooze or read on the shady front porch, immerse yourself in the spa, or walk up the short trail and listen to the soothing waters of the rushing water. 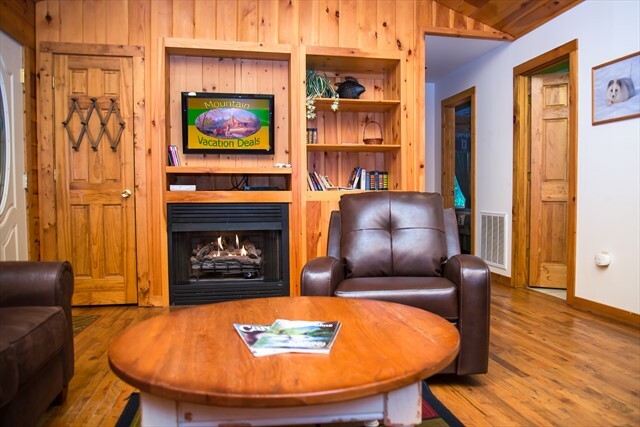 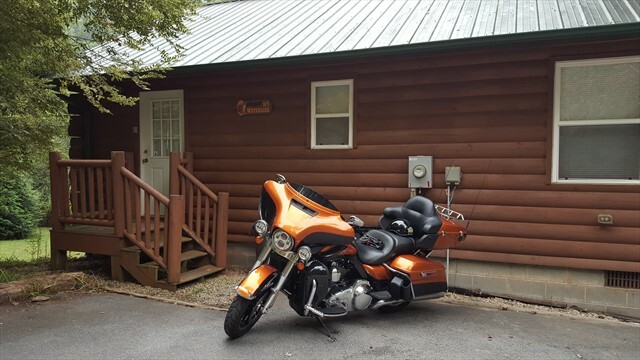 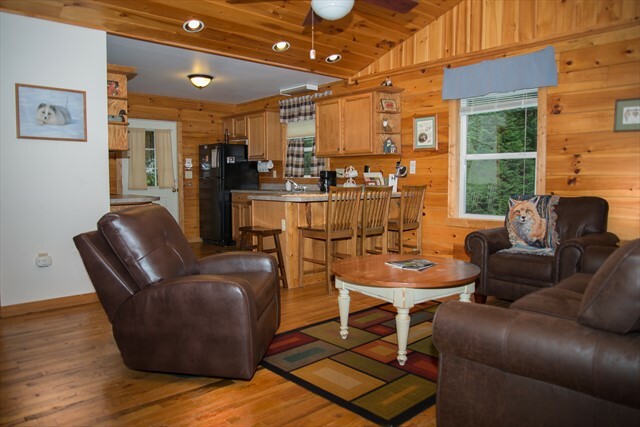 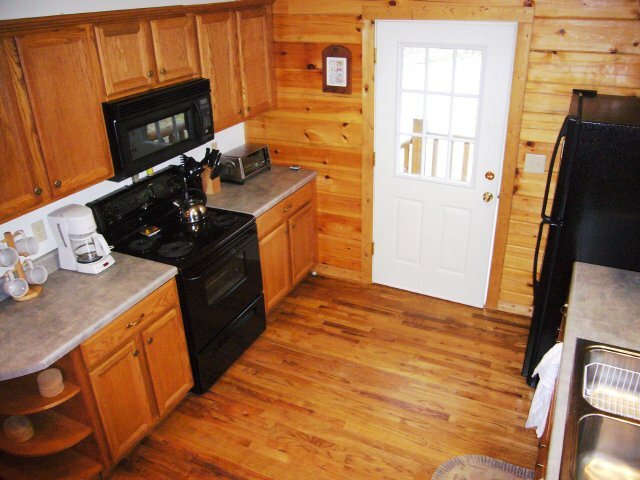 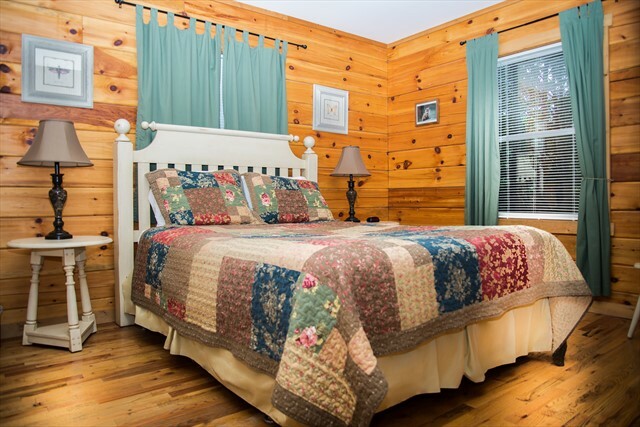 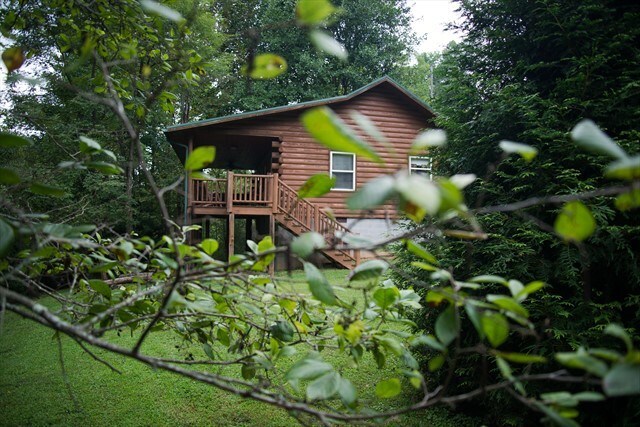 This two bedroom cabins can sleep up to 4, offering a new pillow top King and Queen mattress for your enjoyment.. You can rent two cabins or all three for larger gatherings or two or three families vacationing together. 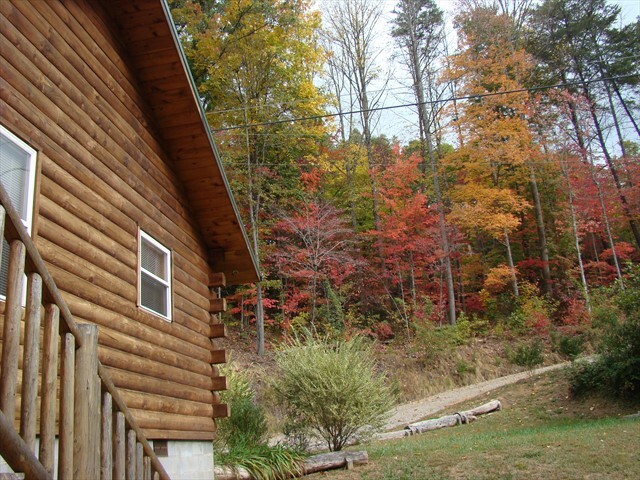 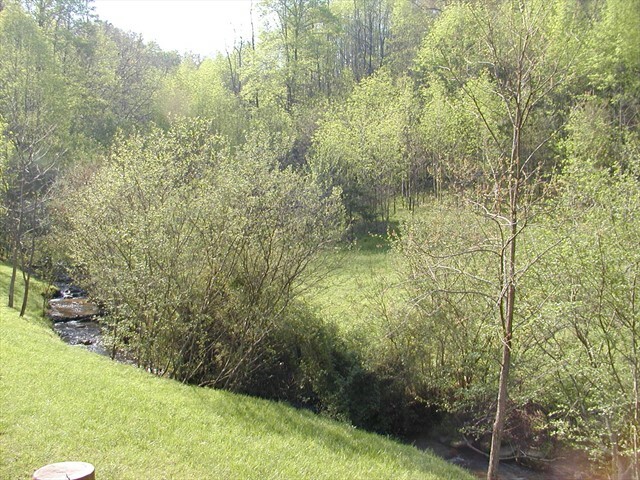 Location - Just east of Bryson City with all paved access and parking.